Russia has made a strong response to the U.S. warning on the Venezuela situation while more information on the electricity sabotage and fake photographs disseminated by the interventionists is being exposed. The President was addressing over television. He was referring to the recent sabotage of the country’s electricity generation and supply system. A long-range sniper rifle likely triggered the attack on the Simon Bolivar Hydroelectric Plant, said Maduro during a televised interview on Wednesday. “They shot [at the electrical system] with a long distance rifle, whoever ordered the attack knew what they were doing. This is a total war,” he said, noting that shot sparked a fire, which burned down a section of the electric system. A quick recovery would not have been possible without the tireless efforts of CORPOELEC, the Venezuelan state energy company, and from the security forces reconstructing the smoldering remnants of the attack, Maduro said. This new sabotage was conducted almost 20 days after a major cyber-attack to the country’s electrical system resulted in a six-day nation-wide blackout, which according to the national government was executed by the United States. A third outage occurred early Wednesday. However, this time, as Venezuela’s officials stated, all the countermeasure mechanisms implemented by President Maduro performed flawlessly, which allowed that in record time almost all the service throughout the country was restored. “Let Venezuelans have no doubt that there are devil’s puppets behind this attack,” Maduro said. The president has called on the public to remain calm amid the power outage, adding that “very serious” damage had been inflicted on the power plant. At the same time, NetBlocks, an NGO monitoring the governance of internet across the world, said that nearly 70 percent of Venezuela remained without internet access during the electricity outage. “It has been 55 hours since the onset of nationwide power outages in #Venezuela; 69% of the country remains offline after a new drop-in connectivity,” wrote NetBlocks on Twitter. Over the past several months, Venezuela has repeatedly faced power outages. The largest blackout swept the country on March 7, prompted by what the authorities called US sabotage against the Guri dam. “Let the United States fulfill its obligations in Syria, but they shouldn’t worry about it. This [deployment] is done within the framework of our normal relations with the legitimate government,” said Yuri Ushakov, an aide to Russian President Vladimir Putin. Yuri was talking to journalists on Thursday, commenting on the visit of the Russian military to Caracas. Later in the day, the Russian Foreign Ministry stated that Moscow is not violating international law in Venezuela, unlike the United States, stressing that Washington aims to derail the situation in Venezuela by supporting self-proclaimed “interim president” Guaido. “The Russian side has not violated anything, neither international agreements, nor Venezuela’s domestic legislation. Russia does not change the balance of forces in the region and does not threaten anyone, as those in Washington do,” said Maria Zakharova, spokesperson of the Russian Foreign Ministry. She added that the Russian troops had arrived in the country for defense cooperation. The military attaché of Venezuela’s Embassy in Moscow Jose Rafael Torrealba Perez also confirmed that the Russian experts are in Venezuela for defense cooperation only. “As for the presence of Russian specialists, we are talking about cooperation, defense industry cooperation. And in no way are we talking about Russia’s military presence to conduct military operations,” he said. Previously, Washington stated that the arrival of Russian military aircraft in Venezuela was an “unwelcomed provocation”. 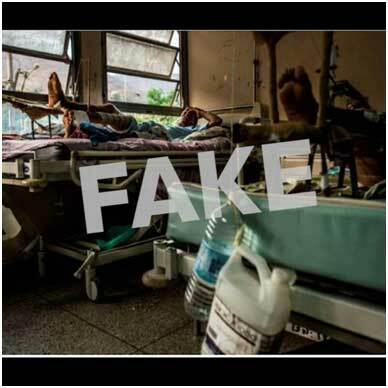 A total of ten pictures show “public health care situation in various parts of Venezuela” have been shared through social media during the past few months. However, an investigation from the French press agency AFP found that not all of the photos were taken in Venezuela and none of these is recent. This AFP expose supports claims by the Venezuelan government that the government is a victim of a concerted mainstream media and social media propaganda to show a country in ruins. The AFP publication was shared at least 392,000 times on Facebook since February 10, 2019. 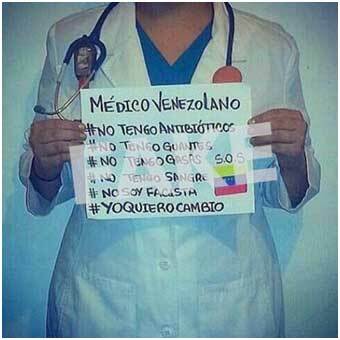 “Discover why it is forbidden to enter any public hospital with a mobile phone or a camera in Venezuela, they keep it from you until you leave the hospital but they do not know that I carried two cell phones and that is why it is possible to spread the information and long live public health in a socialist country and then complain about ours,” said an author of a publication carrying on false propaganda. The AFP tracked the source of each picture. 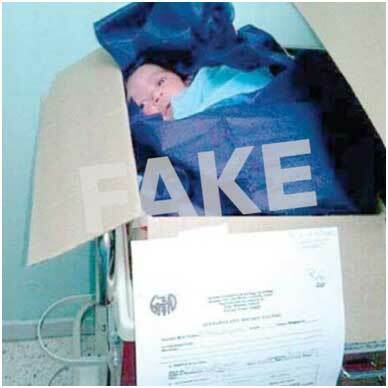 It turned out that most of the images were not taken in Venezuela or were taken in the country before 2016. The AFP indicated that some of the pictures were shared several times from 2014 to 2019. 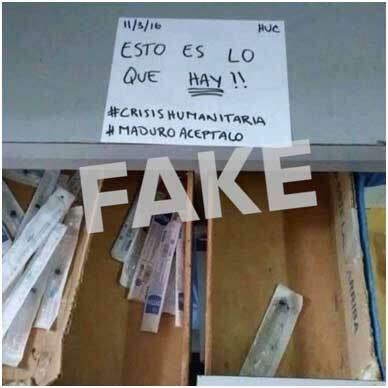 For example, an image taken by a Venezuelan doctor in 2014 in the emergency room of the Miguel Pérez Carreño hospital was shared several times in 2016 as a photo of the situation at the Manuela Sanz hospital. 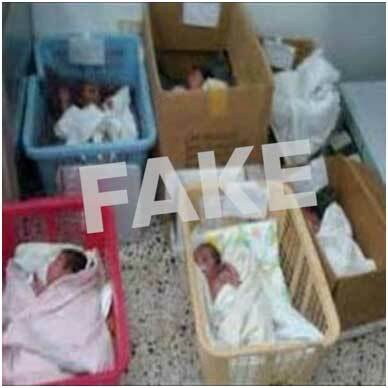 Still according to the AFP, some of the pictures show facts that happened more than five years ago or were from outside Venezuela. 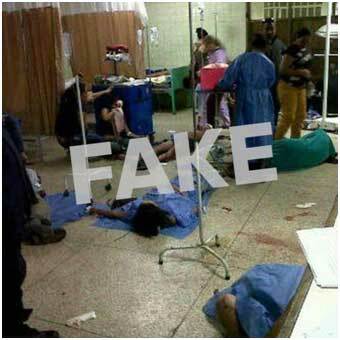 It appears that one of the pictures of the Facebook publication was circulating in 2015 as an image of a hospital in the Dominican Republic. 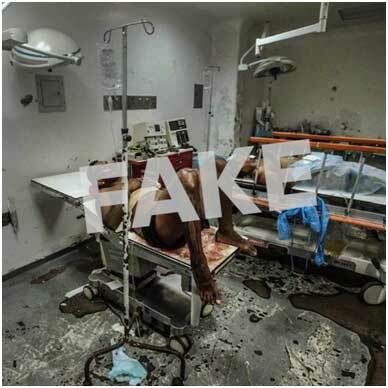 The AFP concluded that not all the images of the publication were taken in Venezuela and that they reflect the situation in the country before 2016. US-backed Venezuelan opposition leader Juan Guaido has announced “tactical actions” by his supporters will begin next week after a countrywide protest; part of his “Operation Freedom” designed to topple President Nicolas Maduro. The ominously vague “tactical action” relies on the organization “Aid and Freedom Committees”, according to a tweet from Guaido. The program is scheduled to begin on April 6. The committees, planned civilian “freedom cells” he set up across Venezuela with the help of opposition lawmakers in recent weeks, will supposedly rise up when he gives the signal, ultimately marching on the Miraflores presidential palace – where President Maduro has stubbornly remained despite Guaido’s self-coronation in January. Guaido officially announced “Operation Freedom” earlier this month, propagating it as a “full-fledged revolution in all states of Venezuela simultaneously.” After the freedom and aid committees come “labor and sectoral committees” in the public and private sectors, to be followed by “constitutional forces” within the Venezuelan army. However, the army is maintaining its loyalty to Maduro. Thus, the army is the primary thorn in Guaido’s side. Guaido also called for a nationwide protest on Saturday, though it is unclear how much popular support he actually enjoys among rank-and-file Venezuelans. Pedestrians pelted his motorcade with something on Tuesday, for which the US quickly blamed Maduro. Maduro claimed the power outages are used as a tool to foster rebellion, which is something straight out of the playbook of a US-funded regime-change organization. al options are open….. and what can I do??? ?